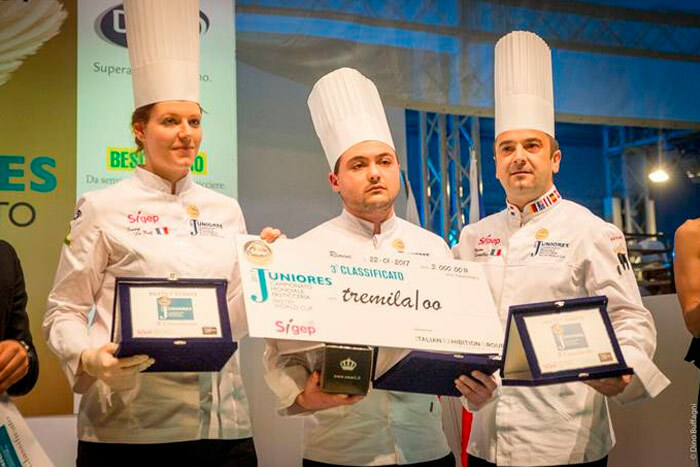 Two years after Kajiro Mochikuzi led the Japanese team to victory at Sigep’s World Junior Pastry Championship, this team manager has done it again with two new pupils. Masato Yokouchi and Yuki Matsuda were not intimidated by what seemed like an army of fans for the Italian squadra, who supported their team from the very beginning. 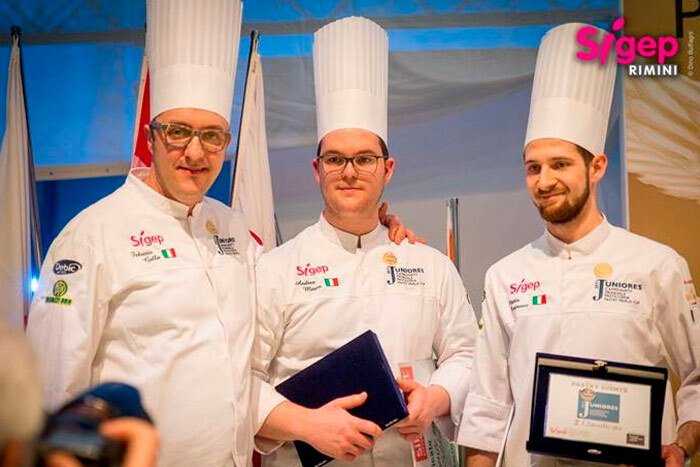 That is why when the Italian team, formed by Mattias Cortnouis and Andrea Marzo, won first prize in tests like the Best Bonbon and the Best Modern Chocolate Cake (with Valrhona couverture), the fans burst in euphoria. 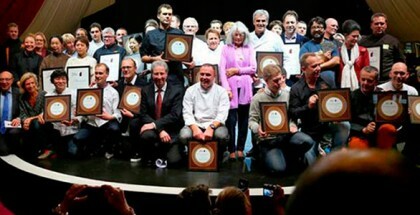 And when it looked like everything was on the side of the Italians to take the overall victory, Japan began to turn the situation around, snatching the remainder of the smaller prizes from Italy one by one: Artistic Chocolate Sculpture, Sugar, Dessert in Glass, Best Buffet, and best Professional approach and hygiene. 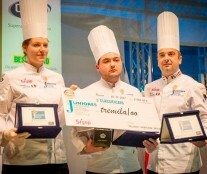 The exception was the prize for Best Plated Dessert, which went to Italy. 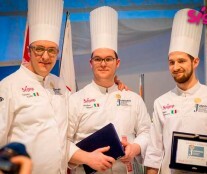 In general, after announcing third place for France, Italy discovered that they had to be satisfied with second place. Nothing mattered anymore. When Japan was proclaimed champion, it was difficult to break the silence of a disappointed crowd that dominated the stands. The shock of the Italian defeat was diametrically opposed to the euphoria experienced five minutes earlier, and it flooded everything, diluting Japan’s well-deserved victory. 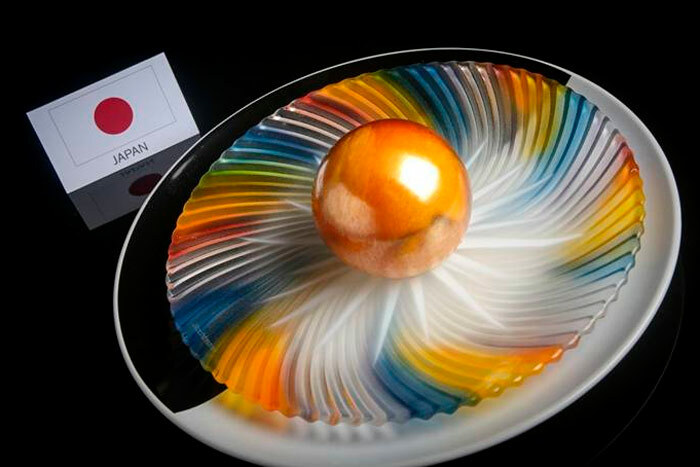 The Japanese team created the best interpretation of the competition theme, Planet Fantasy, through more evocative artistic pieces and a truly original and different dessert in a glass. A dessert in a glass that we could taste and value as members of the jury of the international press. 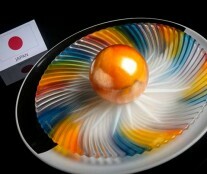 In it, the different applications of gelatins were a surprise, a type of elaboration of great tradition in Japan. In this creation, a translucent gelatin showed different components suspended in the middle of the glass, while interesting rings of green gelatin surrounded the inside of the glass. An original dessert that undoubtedly seduced the international press.